Friendship is one of the most beautiful thing on Earth, we need friends to share our thought, share our happiness and sadness in life. 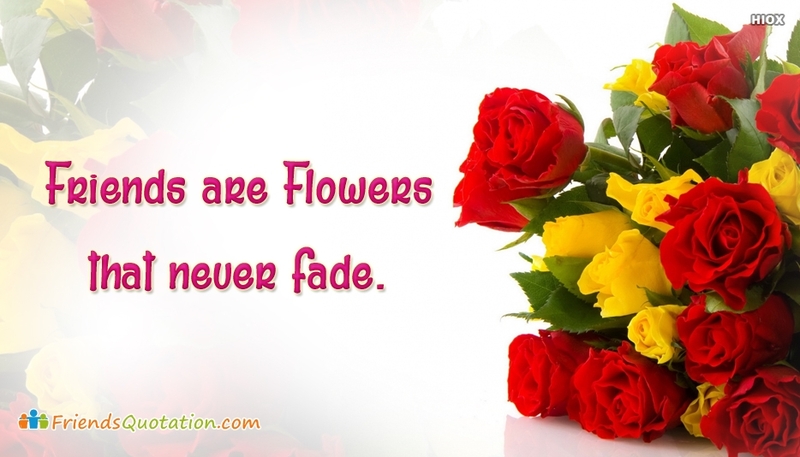 This simple quote "Friends Are Flowers That Never Fade" define the most admirable quality that a best friend has. Explore here beautiful Friendship quotes which will not only inspire you but will also help you to understand the real meaning of Friendship and the importance of friends.